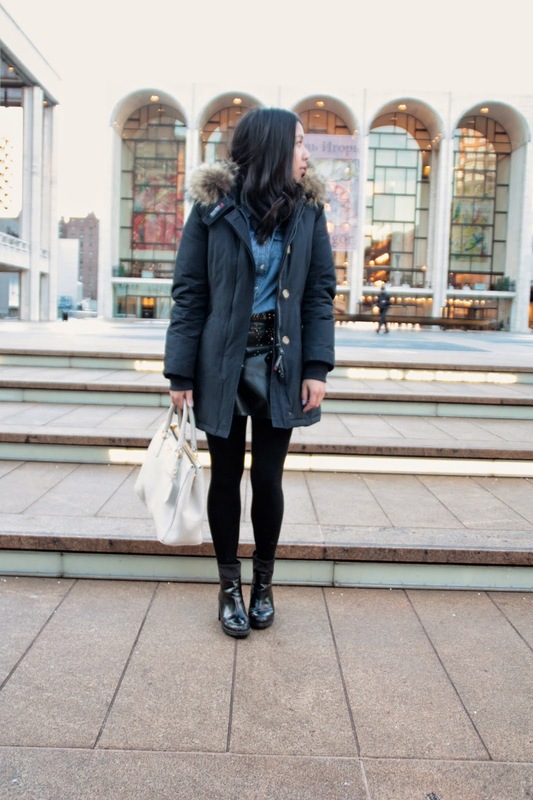 Flashback to New York City in January, 5th Avenue, Lincoln Center and frozen temperatures. Take me back please. ah i love your bag!